if you want to invade mexico city. 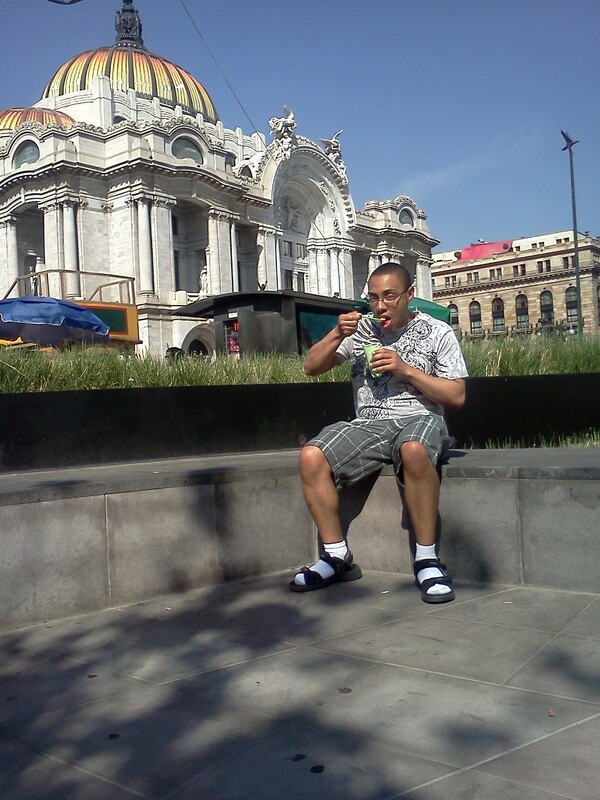 ..
mexico city is a low lying valley, a crater really, surrounded by mountains. it holds smog and pollution and i felt the heaviness in my chest from the moment i left the airport. i sucked on my inhaler like dennis hopper in blue velvet and considered that if aliens from mars wanted to take over, the city was pretty much indefensible. and if the dudes from mars prefer carbon emissions to oxygen, it’s a natural. . . .
at the hotel, after a morning walk of well over three hours, reggie and i had a drink while we waited for yoshi. we had both heard that in mexico, everyone’s a little relaxed about time. while we waited, reggie explained that the whole time we had been walking around, he had been very aware of who was looking at us, who was a potential problem. he said i should be doing the same thing. and never look at something for more than three seconds. count to three. look at something else. count to three. yoshi is an actor who has worked primarily in performing plays for schools. he is working as a director of “life is a dream” (la vida es suena) first published by pedro caldron de la barca in the early seventeenth century. yoshi hopes to have the play touring by april. he is a fan of science fiction and most particularly of my grandfather fritz leiber. he found me on facebook because of being fritz’s fan. it was our first time meeting in person although we have corresponded for several years. yoshi had worked in the area of town where we were and he wanted to take us in the opposite direction from where we had been in the morning. we passed a protest march but yoshi’s explanation of what their beef was confused me. So we just figured it was a shout out to the madison, wisconsin protesters who, by the way, i hope to see next monday thanks to my facebook friend cory! so us revolutionaries had a meal together. reggie ordered a margarita and it was hideous, which was a decisive factor in what happened later. . . .
after lunch we wandered around the park across from the palace of the arts. there were hundreds of booths and vendors. homemade ice cream in flavors like rose, burnt milk, cactus. handmade jewelry (alas, no rosaries). embroidered smocks. we saw a lesbian rights parade. we saw kids crunking in a gazebo. a police officer came into the gazebo and i wondered if i was going to end up in a mexican jail with these kids–but he had brought bottles of water for the kids. reggie bought roasted corn mixed with chilis, chopped onions, mayonaise–all in a styrofoam cup. i said in the previous post that i thought there were three mexicos. 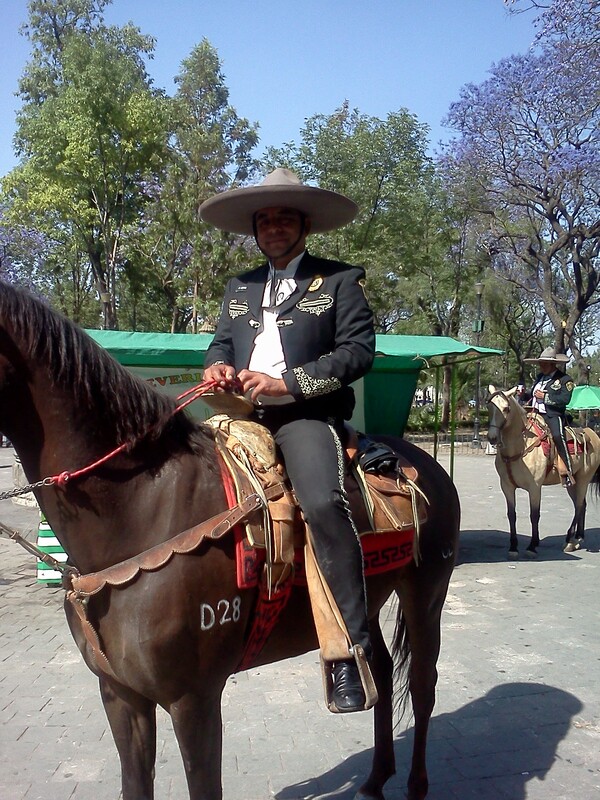 the night before, i had glimpsed the very wealthy mexico–blessed with jewels and fine clothing. in the morning, i was lucky enough to have reggie with me to watch over me–so i could see the mexico that was the most poor, the mexico that rises early to scrape out a living. but this mexico in the park was the families out walking and enjoying themselves–the vibe was one of celebration and the people were more comfortable with themselves. they had nice clothes and i suspect some money in their pockets. but my feet hurt and my inhaler had been getting a workout. as the sun started to dip behind the mountains, it was time to let this cinderella and her blister inducing slippers go home. i asked this dude for a ride to the hotel. he said no. but it was a fun day with yoshi maeshiro, facebook friend number #79! 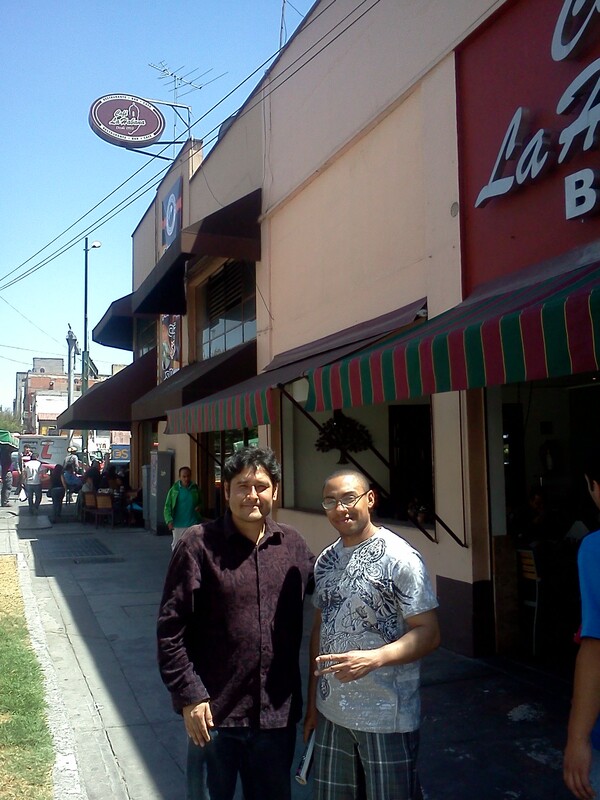 but, alas, we discovered that we both had tried to track down enrique celis, my other facebook friend in mexico city. he was yoshi’s acting teacher and had once facebook friended me in order to invite me to a play he was directing. enrique is now officially invited to chicago for the f2fb new years resolution, but yoshi has an invitation whenever he wants! This entry was posted on Monday, March 21st, 2011 at 3:19 pm	and tagged with facebook, friendship, inhalers, mexico city, yoshi maeshiro and posted in Uncategorized. You can follow any responses to this entry through the RSS 2.0 feed. « Viva Ciudad de Mexico!! !